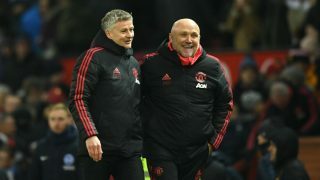 With the appointment of Ole Gunnar Solksjaer as interim manager, speculation has naturally begun as to his mid to long-term future. Fans were initially surprised when he was announced in temporary charge. This was perhaps due to his lowkey nature or more illustrious names swirling around. He has stated his desire to stay in the position longer than May. Given the beginning to his temporary reign, with five straight wins, it is only natural. 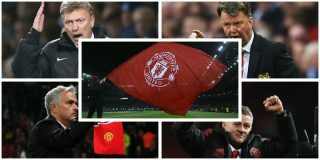 The optimism around the club, his approach to the game and message to the fans has endeared him to the Old Trafford faithful. Very little has come out of those in charge regarding their plans, however. But how might one evaluate what might be a successful campaign for him. Many commentators have stated various categories that he has to fulfil in order to be even mentioned as a possible contender for the main job. Often criteria are put forward for managers for them to achieve to prevent them being sacked. Obviously particular clubs have a different idea of what success actually is. Some expect them to work within a certain transfer and wage bill. Deal with what you have available. Others strive for the goal of survival in the league. How you play is not always on the same importance as staying in the league. Many aim towards the goal of winning a trophy of some description. But even fulfilling these might not be enough to last. I am going to examine the managers in charge since Alex Ferguson against a number of categories and why they did not ultimately prosper. All the managers since Ferguson have had a decent track record with their previous jobs. It might be argued that David Moyes had the least amount of all concerned but he still had ten years in charge at Everton in the premier league. During that spell, he always kept them in the league, they reached cup finals and semi-finals on a regular basis and competed in Europe. Moyes was able to work within transfer restrictions and had an eye for promising signings. Some of the players brought in during his tenure are still with the club, albeit close to retirement. He had gained vital knowledge through the various encounters with clubs during that time. Louis van Gaal’s reputation went before him. As manager of Ajax in the early 90’s, he was integral to introducing European football to one of the finest groups of players of its generation. They contributed towards the return of glory nights for the Amsterdam club as they won the UEFA Cup, three successive league titles, the Champions League, European Super Cup and Toyota Cup. Two La Liga titles followed with Barcelona during an uneasy spell. A subsequent spell back there was less than harmonious though. Returning to Holland, he managed to break the Ajax/PSV/Feyenoord stranglehold by leading AZ Aalkmaar to the championship. Bayern Munich came calling and responded by winning the Bundesliga and reaching the final of the champions league. A second spell in charge of the national side proved more successful than his failed qualifying campaign in 2002. He managed to reach the semi-finals, only loosing on penalties to Argentina. They recovered to beat Brazil to finish third in their best performance since 1978. Jose Mourinho had extensive experience from across various different leagues in Europe. 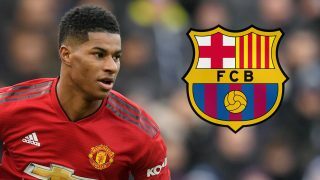 Despite having started out under Bobby Robson and Van Gaal at Barcelona, he found opportunities difficult to come across. It was back in his native Portugal that his reputation would truly take off. A brief and fractious spell at Benfica occurred but he was just getting started. He led unfancied Uniao De Leiria to forth place in the table, before the bigger clubs began to take notice. Porto snapped him up and he quickly began to turn events around at the club. He quickly identified the players he wanted. Greater emphasis on the scientific side of the game was employed and the dividends This resulted in two successive league titles, a Portuguese Cup, the UEFA League and the Champions League. His debut season in the Premier League saw Chelsea win their first league title in over 50 years. This was added to in the next campaign but a falling out with Roman Abramovich saw him leave the Londoners. Another spell with them resulted in another title. Two league title in Serie A, plus the Champions League, followed with Inter Milan. He returned to Spain to take over Real Madrid and helped them to the title in 2012. Unfortunately, Moyes is the worse in this regard. Until that point, only Blackburn Rovers put up such a poor standing as reigning champions. A victory in the Charity Shield against Wigan Athletic gave the reds a decent day out at Wembley but it was to be short-lived. Out of contention from early on, they finished well behind the main challengers. The FA Cup resulted in a dismal home defeat to Swansea City in the third round. The nearest he came to recognised silverware was in the League Cup. Having overcome Liverpool, Norwich and Stoke in previous rounds, he came up against Sunderland in the semi-finals. Having lost the away leg, the reds scored late on to bring the game to penalties. In a dismal showing, 4 Utd players missed allowing the Mackems to reach the final instead. He actually performed quite well in the Champions League, reaching the quarter-finals, before defeat against Bayern Munich. It was an up-and-down campaign, however. It needed a Van Persie hat-trick to recover from a first-leg loss to Olympiacos. Bayer Leverkusen managed to collapse in spectacular fashion (4-2 and 5-0), while the games against Shakhtar Donetsk and Real Sociedad were mind numbingly dull. Van Gaal’s record is similarly poor. In his first season, Arsenal won 2-1 at Old Trafford to knock us out of the FA Cup and erratic form never meant we were likely title challengers. There was also the embarrassment of being hammered 4-0 by MK Dons. The young players involved in the game were thrown under the bus afterwards. It was the first time in 25 years that we were not involved in any European football. His second year saw us eliminated from Europe twice (Group stage of the Champions League and knock-out round of Europa League to Liverpool). The latter was especially soul crushing. In the League Cup, they lost on penalties to Middlesbrough after a 0-0 draw which was as exciting as it sounded. We did get our hands on a trophy though. The initial rounds started slowly but eventually began to get through. Martial scored late to take West Ham to a replay which we won. He was the match winner against Everton in the semis to play Crystal Palace. In the final itself, Utd prevailed after conceding a goal late on. Cue idiotic celebrations from Pardew. Mata equalised to take it to extra-time. Jessie Lingard was to be the match winner to hand us the cup for the first time since 1999. José built his reputation on winning. We kicked off with a late goal from Zlatan Ibrahimovic to win the Charity Shield against Leicester City. League wise, we were never really in contention. Despite seemingly going undefeated for months, the reds remained stuck in sixth place. They were full of goals in the early rounds of the FA Cup before going out to Chelsea in a tempestuous game at the Bridge. The League Cup brought more luck though. Manchester City, West Ham and Hull City were all beaten before the final against Southampton. The reds cruised into a 2-0 lead through Ibrahimovic and Lindgard before the Saints struck back. They levelled things up, before the game approached its end. Cue a last-minute Zlatan time header and wild celebrations. More was to arrive in Stockholm. They progressed through their Europa League group to play the likes of St.Etienne, Rostov and Anderlecht in the subsequent rounds. A tense semi-final against Celta Vigo took place before they could secure their position. A straight forward victory versus Ajax brought home the only European trophy they had yet to win. The following year saw us go out of the League Cup to championship side, Bristol City, in the quarters. The Champions League resulted in a fairly meek and timid loss to Seville. The FA cup got a modicum of success but defeat in the final to Chelsea ended the season on a downer. Again, not too hot regarding Moyes. By the time he was sacked, we sat well outside the top four places. Defeat to his former club over the Easter period pretty much ensured this. Being unable to string a series of wins together meant his side were constantly playing to those teams around them. As soon as they would win a few in succession, a defeat would drag them back down. Manchester City, Liverpool and Chelsea were all vying for the main prize, but a number of clubs were also hopeful of qualifying. Arsenal and Tottenham were slugging it out for the final spot, but they had Everton also waiting for them to slip up. 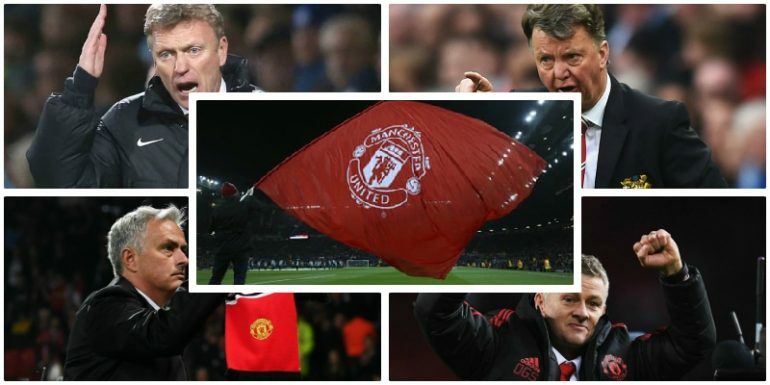 Moyes’s former club inflicted a lot of pain during the year. His former players had responded well to the introduction of Roberto Martinez and beat United home and away. Indeed, one of those dropped Utd as low as 9th. This was what ultimately put paid to his spell in charge. Van Gaal steadied the ship in a relative sense. Champions League football was confirmed towards the end of the season. A run of six wins in a row arrived at an opportune period. A team set-up that employed Maraoune Fellaini at his destructive best. Runners were employed to take advantage of possible knock-downs and the panic he caused. Tottenham, Manchester City, Aston Villa, Liverpool, Sunderland and Newcastle were all put to the sword. Three defeats without scoring threatened to derail all of this but victory away to Palace settled the nerves. They eventually finished six clear of nearest challengers Tottenham. The following campaign was a tough one for all concerned. A particularly depressing run occurred around the Christmas period which resulted in only one win in eight scoring merely eight goals in that time. Even when they got back into contention as a result of beating Manchester City away, they then managed to throw it all away in a defeat to West Ham. If their city rivals had not been so inconsistent themselves, we would have had no hope. It was extremely fortunate that Europa League winners were able to gain automatic qualification into the Champions League. Jose would have been facing major questions at the end of his first campaign if that had not been the case. Solid investment had been made during the summer, but a nagging inconsistency remained. They remained unbeaten during a long stretch of the season but many of these comprised of draws rather than wins. This was especially true at Old Trafford against sides who would have been swatted aside with ease in previous years. An inability to break many of these down proved fatal. Five defeats but fifteen draws said it all. European football was also achieved the following year in a season that promised so much. The platform which had been created with the European win was expected to be built upon. He made a number of additions in order to mould the side into his style. A number of 4 goal victories made many believe they were set for a genuine title shot. Indeed, they only dropped 4 points out of a possible 24. The fragilities were only around the corner and proven through defeat to Huddersfield. A derby loss at home, plus three consecutive draws, made for a miserable December. They were still capable of moments of pure magic as proved with coming back from two down away to Palace, one down to Chelsea, beating Liverpool at home and a memorable day at the Etihad. Losing to West Brom at home finally ended any title discussion. Despite all of that, they finished clear of Tottenham and Liverpool. The way things were developing this season it would have been a struggle to qualify for anything. Poor old Dave. Yet again he comes out badly. He managed to clock up 4 points against Arsenal and a draw at home to Chelsea but that was about it. Early season away defeats to both Liverpool and Manchester City set the trend. The return games saw us humiliated in both games. Tottenham also won at Old Trafford, whilst Chelsea beat us at Stamford Bridge. Dropping so many points could only damage their ambitions. Van Gaal did quite well in this respect. 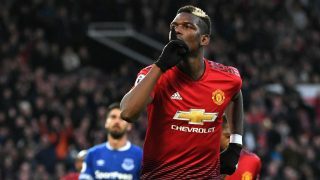 In his first year, he did the double over Liverpool, got 4 points off Tottenham and Arsenal, drew with Chelsea at home, and beat Manchester City 4-2 at Old Trafford. The second season resulted in 4 points against Manchester City, a double again vs Liverpool, victory over Arsenal and Spurs at home and two draws with Chelsea. José’s record was a bit patchy in this respect. In five games against Manchester City, he only managed one win and one draw. Liverpool provided three draws, one win and one defeat. The North London clubs gave him his best record. Arsenal gave him two wins and two draws while Tottenham gained him two wins but three defeats. The last of these resulted in him walking out on a press conference declaring his genius. But all of this shows that certain criteria are not always a guarantee of success. 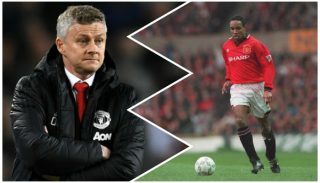 One can have extensive experience from across the globe, in-depth knowledge of the domestic league, ability to win trophies, have a decent record against the teams around you and be able to finish in the European places. The main issue with the previous few managers is that they forgot the key element of what it takes to make it here; it is about getting fans on seats. Supporters turn up every Saturday afternoon (or Sunday morning, Wednesday evening etc) to have something to inspire them. Those moments in the game to provide joy and devotion home with them. We arrive wishing for the team to get on the front foot and go from there. As Danny Blanchflower himself said, “The great fallacy is that the game is first and last about winning. It is nothing of the kind. The game is about glory, it is about doing things in style and with a flourish, about going out and beating the lot, not waiting for them to die of boredom.” Instead of worrying about the opposition, we should have been aiming to play to their own potential. 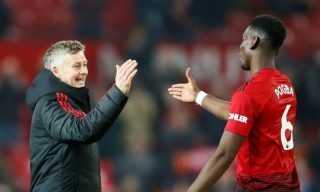 Ole Gunnar Solksjaer is the man currently entrusted with the mantle. Many commentators have questioned his experience in major European Leagues, familiarity with big game players and lack of significant trophies. What he does on his side is one of those intangible qualities. An understanding of what the club means from his playing career here. He gets the need to provide that surge of excitement when we are on the attack. More emphasis on the innate talent that exists within the side and how best to exploit that. Look to get on the offensive where possible. Passing the ball forward rather than sideways or backwards. He might not have been the first name mentioned to take over from Jose but he is making the loudest case so far to be given it full time.